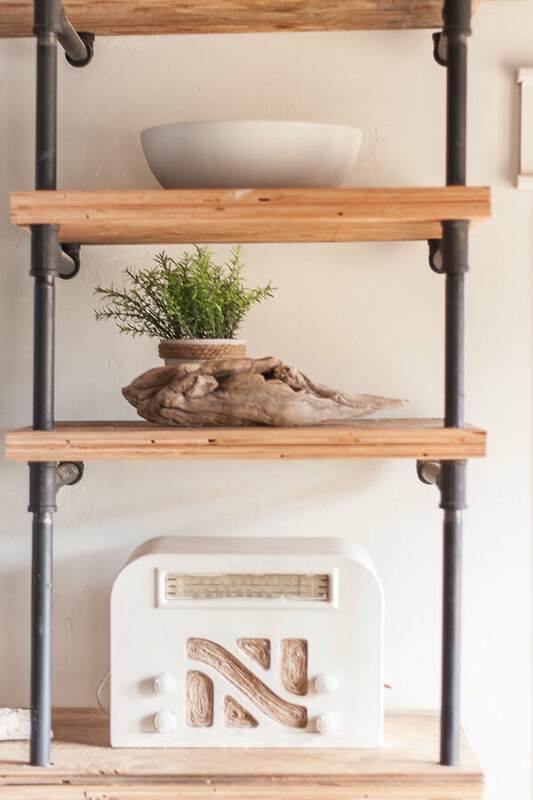 Want to learn how to style decorative wall shelves like a designer? 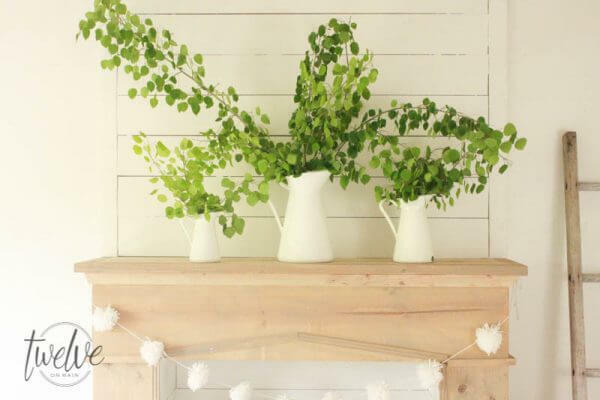 Try these simple solutions to create beautiful spaces in your home that you can enjoy for years to come. 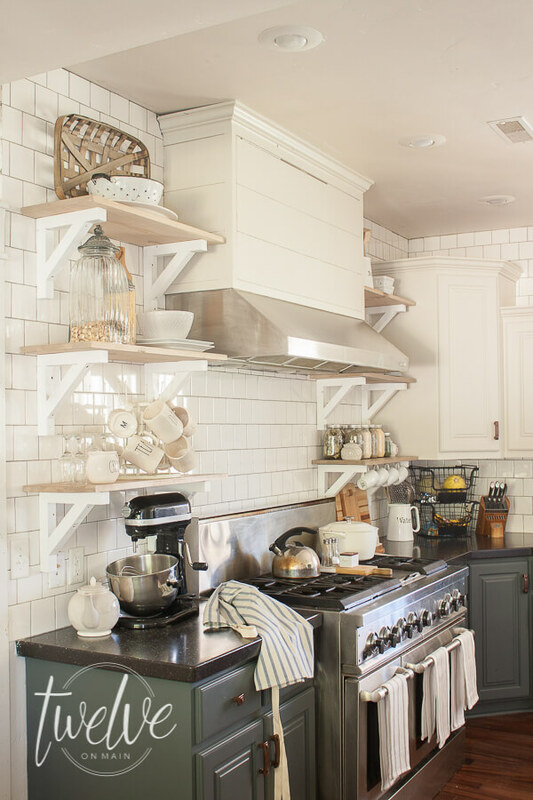 Styling any kind of decorative wall shelves can be a daunting task. Did I add to much? Is there not enough? Does everything coordinate and make sense? 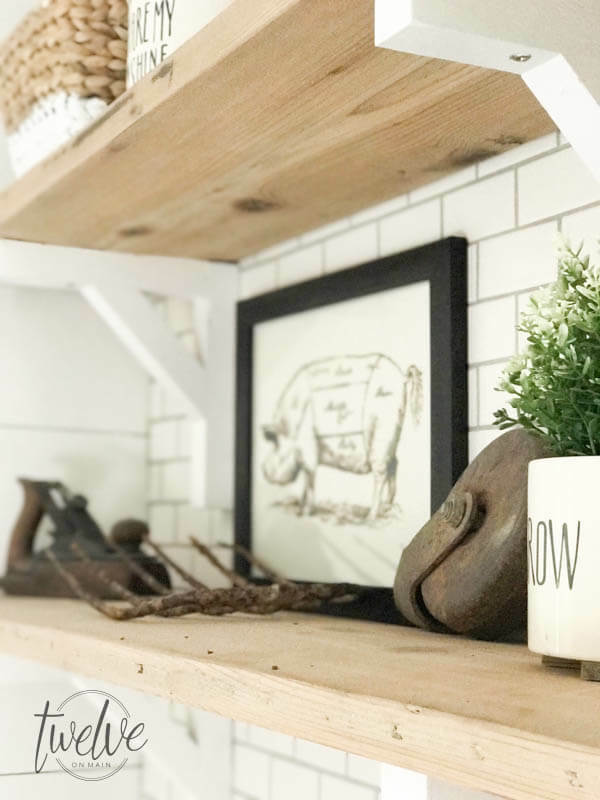 I have many decorative shelves in my home including master bedroom book shelves laundry room shelving, dining room reclaimed wood shelves, my open shelves in the kitchen, and my industrial style pipe shelves. 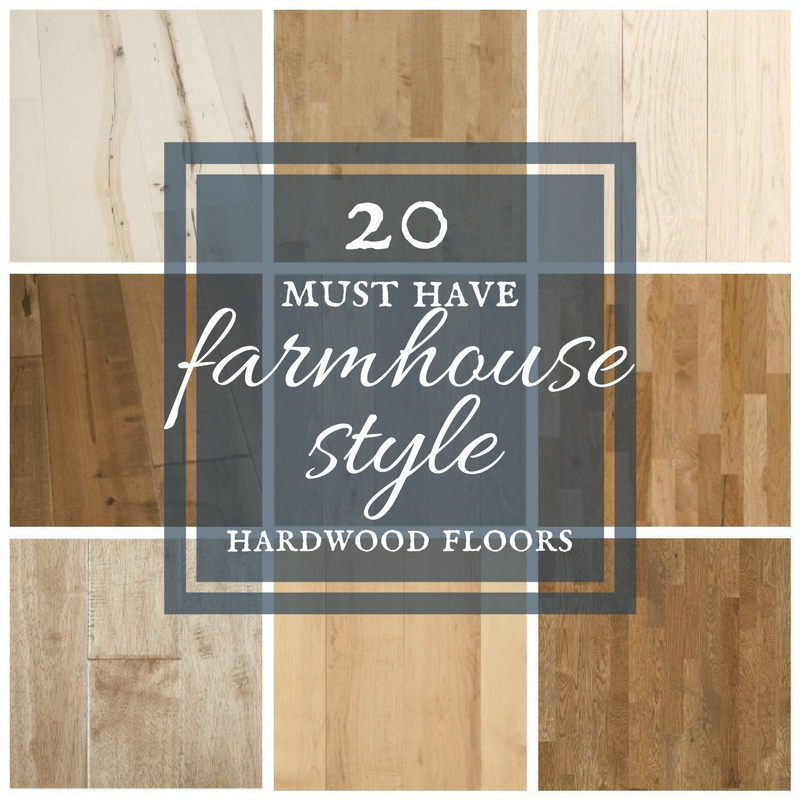 It can be common to over style shelves as well as under style them. 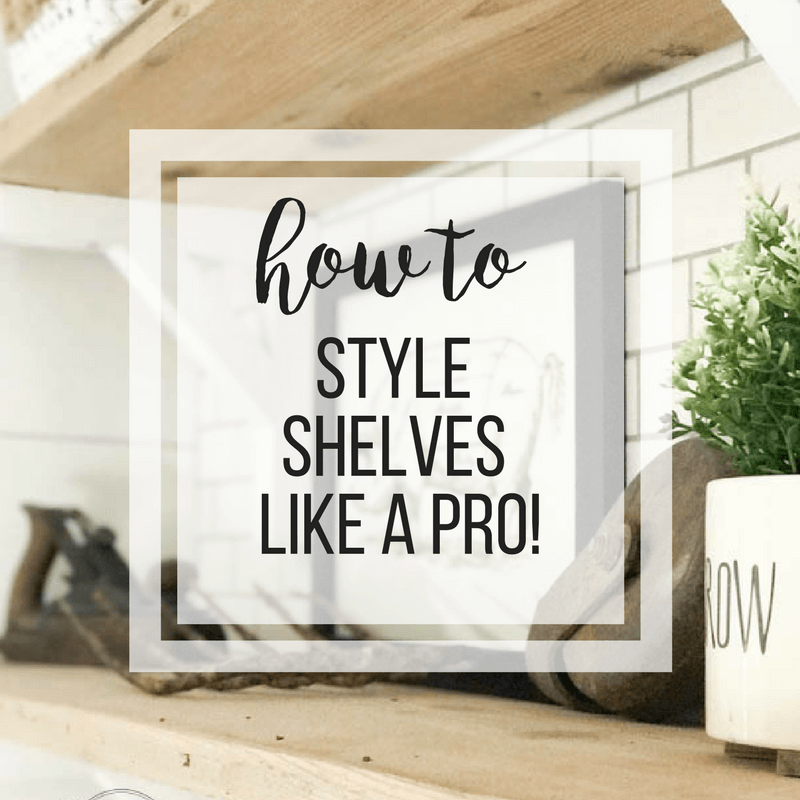 I’m here to day to give you a few tips on how I style my shelves like an expert. Are their certain colors I want to maintain? Do I have any collections I want to feature? Do I want to add baskets for organization? Can I shop my home to create the look I want or do I need to purchase a few new items. I struggled often on how I wanted to style my decorative shelves. 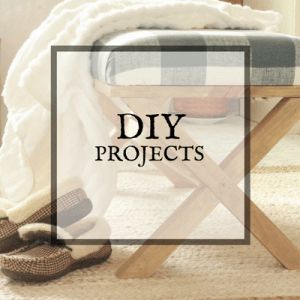 There are so many different ways to style shelves and sometimes we can feel overwhelmed. So I answered a few of my questions. 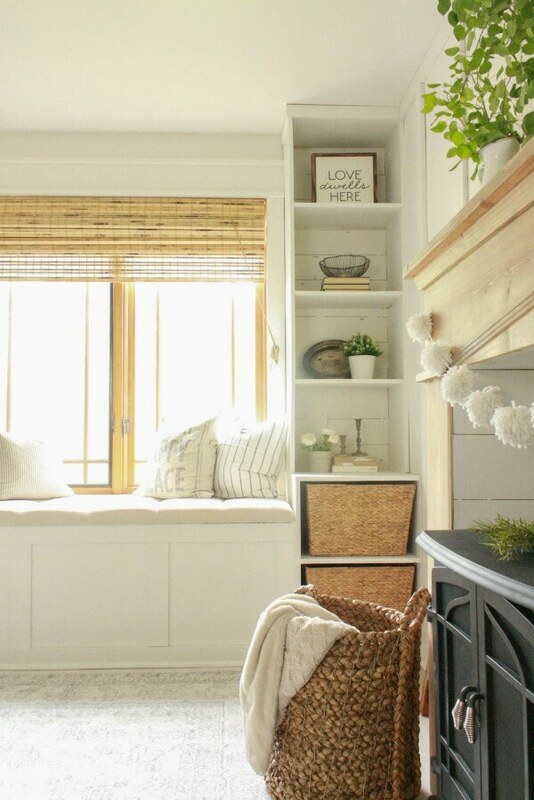 Take my master bedroom decorative wall shelves for example. I had some collections I wanted to feature, as well as some baskets I also had a color scheme. I wanted to keep the colors neutral with whites, tans, beige, as well as black and navy. I wanted to add my collection of salvage antique pieces that I had collected over the years. I also wanted to add books(obviously) and I collected books that I had that consisted of those colors. I also had a collection of white pottery that I wanted to use. So, as a general rule of thumb, I like to gather up all those things I want to include in my shelving and set it all out together on the floor. I separate it into categories of books, baskets and wooden boxes, greenery/plants, and small knickknacks or fillers. I start styling my bookshelves by adding my books first. I don’t fill the shelves full of books, rather, add 2 or 3 to one shelf, either standing up or stacked laying on their sides. If I have, say 10 shelves to fill, I will use books in approximately half of them. I then add larger pieces, such as baskets, crates, and antique pieces to the other shelves. A tip to creating a create look with books is to find old books at a thrift store for 25 cents a piece and looking for those in your color scheme. You can also forgo that and do what I did to these farmhouse style books. It was the easiest project I have ever done. Now lets take a look at my decorative wall shelves in the kitchen. Last fall I decided to change up a few things in my kitchen, and turned some cabinets into open shelves. I wrote an entire post about how and why I did it. I also created a post with 25 different decorative shelf brackets that would look amazing in any home. You can’t go wrong with that post. So, lets discuss how I styled my kitchen shelves. It was my desire to have them be functional and also stylish. So, I gathered my collections, and looked them over. I had a set of white dishes that we use everyday, and I knew I wanted to have them on the shelves. Another element I wanted to add was my spice collection that I created using mason jars. Again, collections are a good way to start! 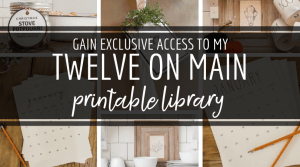 I considered the colors that I wanted to use and shopped my house and kitchen for other elements that I needed to have, including my Rae Dunn Clay mug collection. 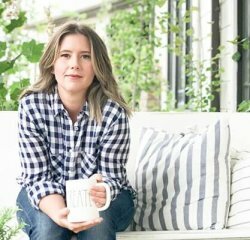 If you are looking for Rae Dunn pottery, check out this comprehensive shopping guide that I have created. Check out my industrial pipe shelves in my living room. They have overall been the hardest for me to style. Trying to keep them cohesive and simple, yet stylish was quite difficult for me. I decided to really pare down these shelves. The key is to not overfill the shelves. You want to style them, and have them look complete. Some of my shelves only contain one item, since it is a large item. I arranged them next to a shelf with something opposite, like books and greenery. One more thing to think about is to make sure one side is not heavier than the other. This meaning that there is a balance between large items(baskets etc)and small items. Just remember to keep it simple. Add one element at a time to begin, and then add the next element. This makes it easier to keep stock of what you have and what you still need to add. 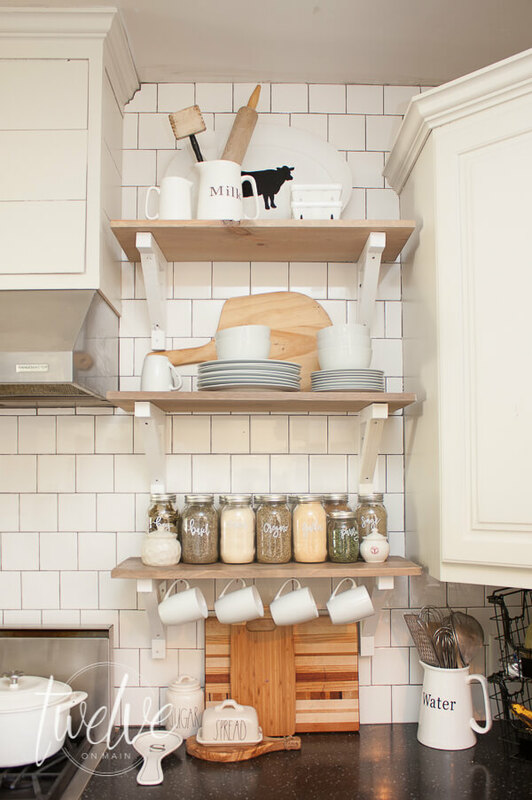 By taking these steps, you too can style your shelving like an expert. 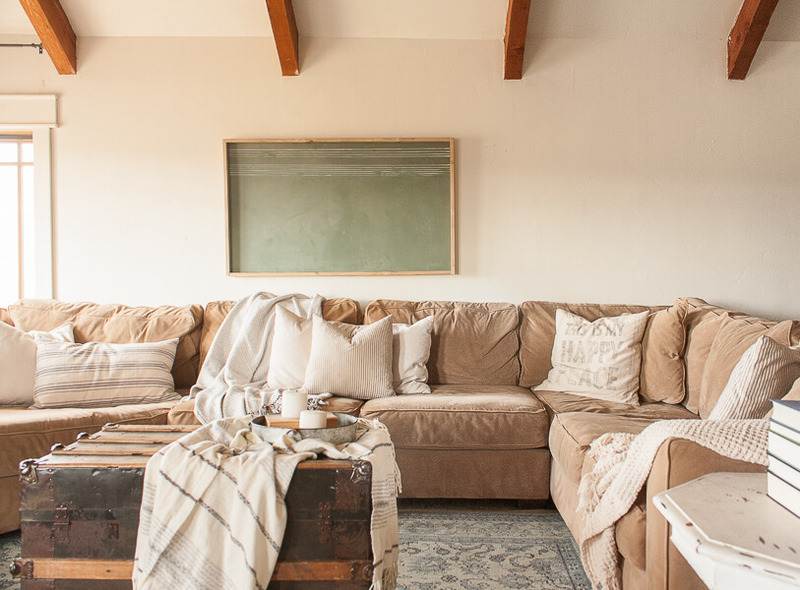 Less is more – Sometimes you will keep adding items and it will become too much. If you find yourself this way, take a few items off, and keep it simple. 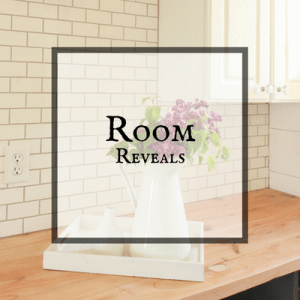 Combine Tall and short items – This will give your shelves interest and dimension. Mix materials- Mix different textures and materials such as: woven baskets, assorted metals, ceramic pieces, and floral or greenery. I used these principles when decorating my laundry shelves. We added specific items that we knew were special to the family, and also relevant to the space. My children love to go metal detecting, and these are some of the pieces they have found in their travels. The old rusty pitchfork was their most prized possession. 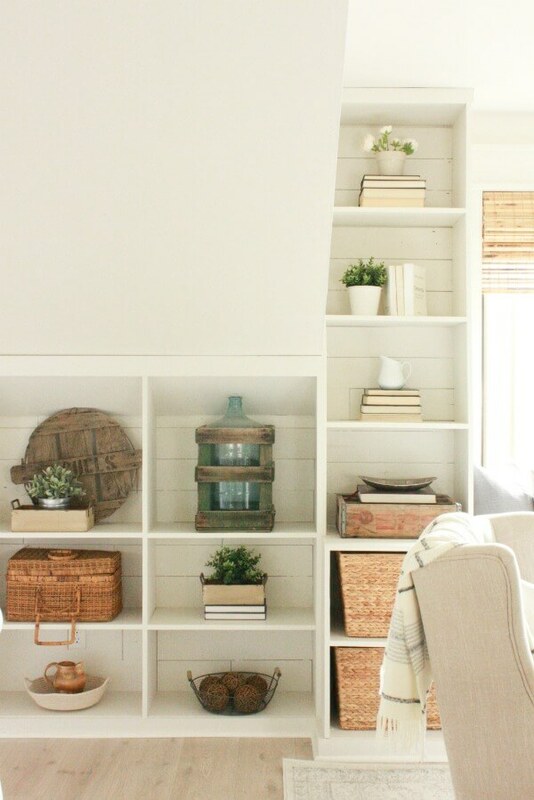 I think if you try these tips you will become a master at styling those decorative wall shelves like a pro! Good tips – I think the kitchen looks really nice! Thank you so much Winnie! Have a great day. Thank you very much your decorating ideas are fantastic and I like the mirror and want one where you got the mirror. 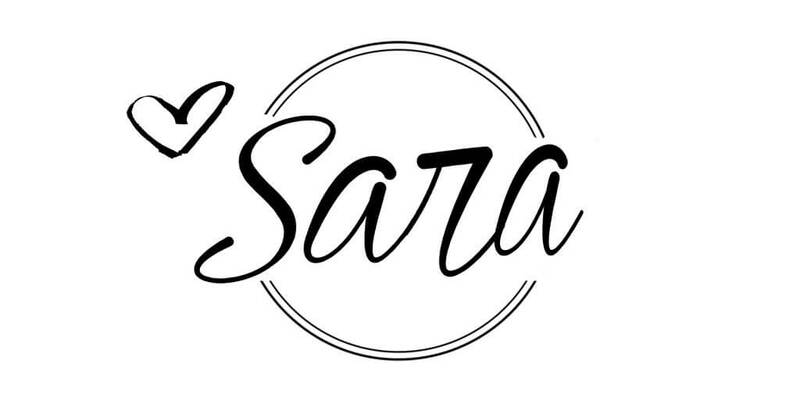 Great post Sara! I would love for you to come over and link up this post at Thursday Favorite Things tomorrow! I am crazy about those spice jars in your kitchen. Is that a DIY? Love them! The party starts at 9:00 a.m. EST on my blog. Hope to see you there! Hi! Thanks so much we had the best time in Iceland. The stove is a Jennair. You have some wonderful ideas and i love all your shelves.Thanks and have a great day. 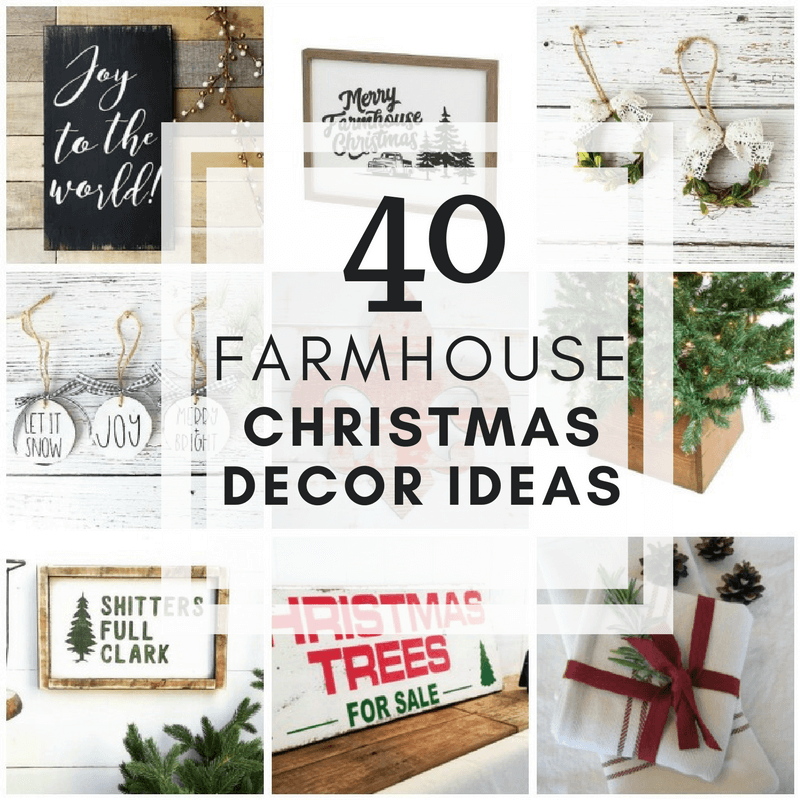 It’s really some great decorating ideas from you. I have rented a new apartment last month and trying to decorate that properly but can’t. So I have started searching on the internet and luckily found your post. I will be quite happy if get a decorated shelf like you. Definitely, I will try my best.